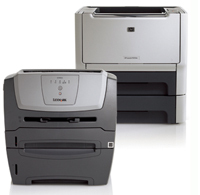 Save on replacement toner cartridges for your laser printers when you order online through FTD. Just click the Order Here button below, log in and place your order. Convenient. Orders are billed to your FTD Clearinghouse Statement. Quick shipping. Orders are drop-shipped immediately. Excellent quality. Great products backed by a manufacturer guarantee.